When the light switch is in the parking light position, the tail, position and license plate lights will turn on and the tail light indicator will turn on. 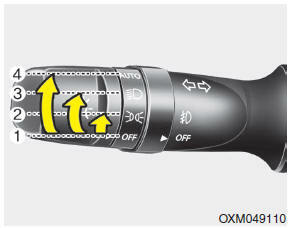 When the light switch is in the headlight position the head, tail, license and instrument panel lights will turn on. 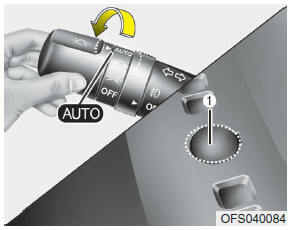 • Never place anything over sensor (1) located on the instrument panel. 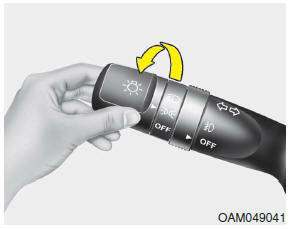 This will ensure better auto-light system control. • Don’t clean the sensor using a window cleaner. The cleaner may leave a light film which could interfere with sensor operation. • If your vehicle has window tint or other types of metallic coating on the front windshield, the Auto light system may not work properly.